Vár Lengyelország csodaszép balti kikötővárosa, Gdańsk! Az utazási ötlet tartalmazza a szállást két fős elhelyezéssel, a repülőjegyet illetékkel és a kézipoggyászt. Ajánlunk egy szállást, de a következő lépésekben másik hotelt is választhatsz. A keresés gombra kattintva testre szabhatod az utazást. A foglalás gombra kattintva így, ahogy van lefoglalhatod, csak befrissítjük az árat, mert az változhat, ahogy a repjegy vagy a szállás ára változik. Lying on the Bay of Gdansk and the southern cost of the Baltic Sea, Gdansk is a beautiful port city with a long history. It is a large centre of economic life, science, culture, and a popular tourist destination. As a port city and a major partner in the Hanseatic League, Gdansk has always been in contact with foreign countries. 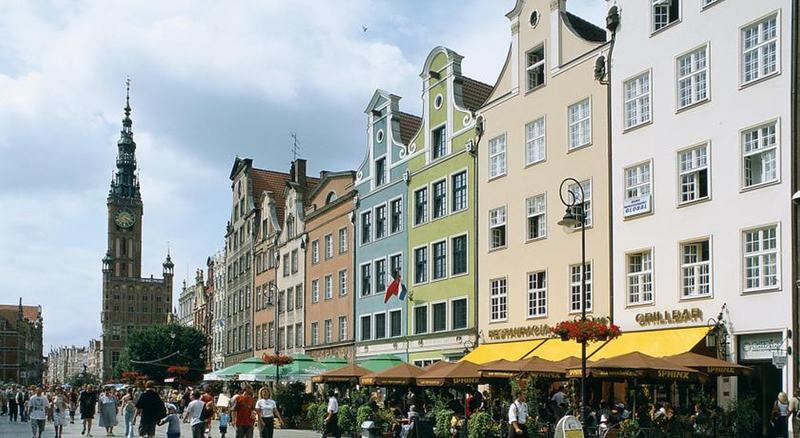 Today, Gdansk is the capital of the Pomeranian province and an important administration centre. After WWII Gdansk was largely in ruins, but the buildings underwent an extraordinary restorations, it seems impossible to tell which facades are original and which have been restored. Gdansk’s market square, Dlugi Targ, is the centre of town. The Dwor Artusa, just opposite the Neptune Fountain, served as headquarters of the Hanseatic League; its original 16th century facade looms over the square and it is today a branch of the Historical Museum of the City of Gdansk. 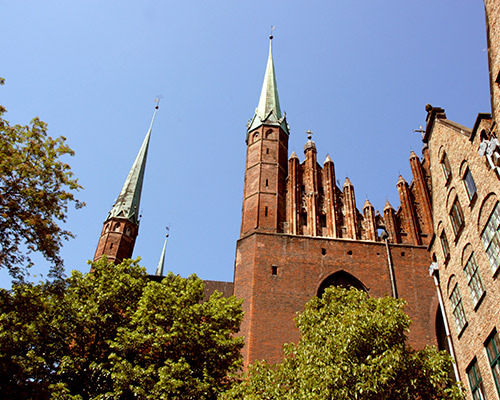 Gdansk is home to the largest Gothic church in Poland: St Mary's Basilica. Dominant over Gdansk’s skyline since its completion in 1502, St. Mary's has since become one of the iconic landmarks for the city. Climb the steeple for a panorama of the city. A trip up the tower of the Town Hall includes a series of photographs of Gdansk after the war. Ul Mariacka, behind Mariacki Cathedral, is perhaps Gdansk most beautiful street, with exquisite Hanseatic architecture. If you want to take a break from the big city, and relax a little bit, head to the Brzezno Park. This small city park is located on the coast, near Nowy Port. And if it’s sunny head down Stogi Beach, the city’s best. Stogi beach is large, has quite clean and fine sand, lifeguards, and several food stands and bars. Charming historic old town streets, many museums, and its excellent access to the popular coastline of the Baltic make Gdansk an energetic destination crammed with many ways to have fun.